Villanova earned their second National title in 3 years in a big win Monday night over Michigan. The hero of the game was Donte DiVincenzo who scored 31 points off the bench. DiVincenzo is a backup guard, and when he came off the bench and scored 18 points in the first half, the tide of the game turned. DiVincenzo’s career-high 31 points is the most for a non-starter in a championship game. To no one’s surprise, Donte earned the Most Outstanding Player of the Final Four. The Wildcats became only the 8th school to win 3 or more titles (1985 and 2016 and now 2018). Villanova 79, Michigan 62. Philadelphia has now become the first city to win a Super Bowl (Eagles in February) and an NCAA basketball title in the same year. Baseball season officially began last Thursday, and the last thing anyone thought would happen is a game would be postponed due to snow, but that’s exactly what happened in the NY Yankees home opener on Monday. The Yankees will now play their home opener against the Tampa Bay Rays today at 1;05 pm. 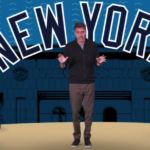 For more on the Yankees and why it’s good for baseball to hate them, watch Mike Greenberg’s “Return of the Evil Empire”. In a completely bizarre court testimony, NASCAR driver Kurt Busch testified that his former girlfriend Patricia Driscoll is an assassin….yes, that’s right “a trained assassin dispatched on covert missions around the world”. These claims all came about in court because Driscoll wants a protective order against Busch for alleged abuse. 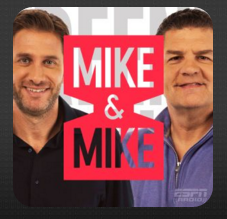 The New York Jets have a new coach and new GM. Arizona’s former defensive coordinator, Tom Bowles, will try and lead the dreadful 4-12 Jets into a new era. 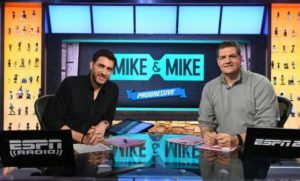 If you’ve ever watched Mike and Mike on ESPN (the highest rated sports talk show in the country), you know how talented and entertaining this team is. 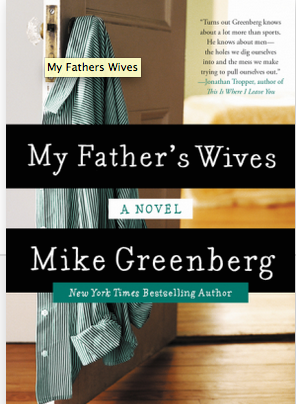 You may also know that Mike Greenberg (Greeny) is also a great novelist. 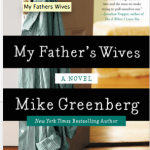 He’s come out with his second novel, “My Father’s Wives”. It’s in pre-release now and it’s gotten great reviews. I’m ordering now!